I’ve decided to start going through my not-often-used polish chest and to get swatching! I started with a rather small collection of four polishes by Winmax, which can be found at Daiso stores. I found these ones at the Queen St store in Auckland. I have one glitter and 3 sheer shimmery polishes to share. First up is the glitter, which I think I’ve had for about 4 years or so. It was one of my very early polishes when I first started getting addicted in 2008! 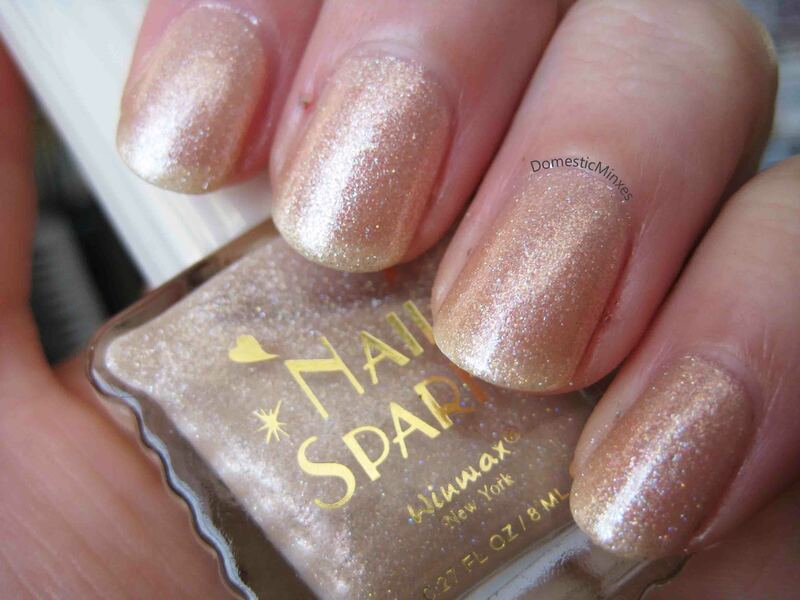 It has plain and iridescent gold small glitters in a clear base, and looks fantastic layered. This is just one coat over naked nails. It’s called ゴールドラメ, or Gold Lamé (lamé is a shimmery metallic cloth). This one is called エレガントゴールド, or Elegant Gold. I’m not too convinced by the “gold” label, but it’s certainly very pretty and elegant. This was three coats, it’s very sheer! Next up is a shimmery pink with purpley tones to it, also shown at 3 coats. It’s called ピンクオパール, or Pink Opal. I agree with that name! Pink Opal and Elegant Gold somewhat remind me of the new Ozotic Beam and Sugar collections. 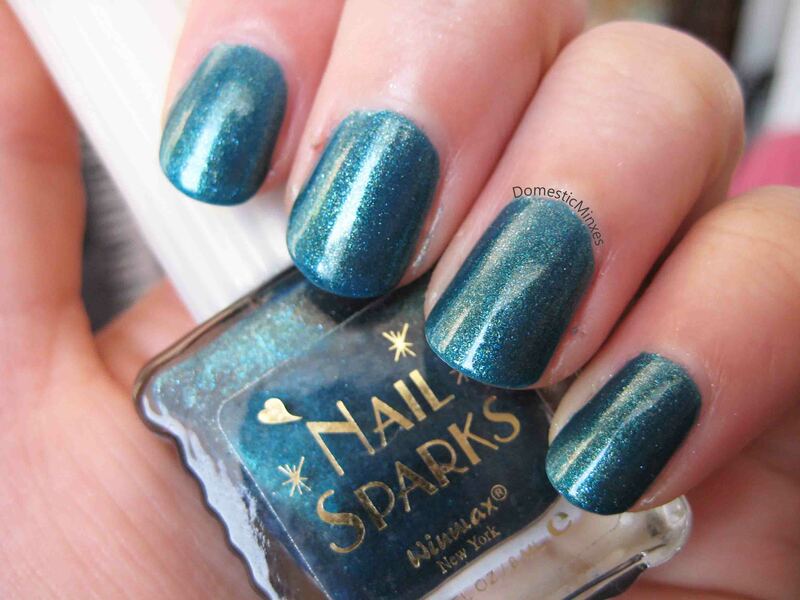 Last but not least is a darker teal shimmer, this one was only 2 coats. It’s called ビリジアン, or Viridian. Pretty pretty. Pulling these polishes out again makes me wanna pull out my Japanese textbooks and practise some Japanese again!